I’ve been learning to grow old gracefully from my mother. She has embraced aging with elegance but also with a determination to be healthy and independent. It sounds like a realistic plan. 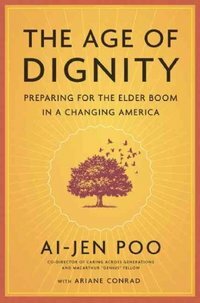 Before I reached that bewitching age of 65 this year, I read “The Age of Dignity: Preparing for the Elder Boom in a Changing America” by Ai-Jen Poo. Ai-Jen heads up the powerful National Domestic Workers Alliance made up of millions of nannies, housekeepers and caregivers. She was supposed to be the featured speaker at the Workers’ Rights Board annual meeting but her flight grounded her in Chicago. Her book was on sale at the event so I bought it. In this country, anything old has little value and is discarded. If you’re black and female, your prospects become quite dim. So, you may have it in your head to grow old with dignity, but the rest of society is hell-bent on treating seniors like they’re all hard of hearing and with no intelligence. That’s why some youngsters talk to them in loud, slow sentences. With each turn of a page in Simanga’s book, a floodgate of memories was opened. I realized I am too close to the story to maintain true objectivity. My introduction to the Congress of African People (CAP) closely mirrored Simanga’s. A group of us were building the St. Louis CAP chapter around the same time as the Detroit chapter was emerging. We both made treks to the national CAP headquarters in –as Baraka would call it – NewArk, NJ.